As it is less than 100 days left until the PyeongChang Olympic Games, efforts are needed in all areas, not least on the IT side, where the international technology giant Atos and the International Olympic Committee are doing the largest sports related IT-cooperation in the world. 250 servers, 2 500 experts, 570 million IT security events safely managed and an audience of 5 billion people to serve with real-time results. These are just a few numbers, with which Atos, the IT-partner of both the International and the Finnish Olympic Committee was working during the 2016 Olympic Games in Rio. Atos was responsible for the technology infrastructure already in the Games in Barcelona 1992. The previous contract finished in Rio, but a new one was already made. Atos continues as the official IT partner for the Olympic Games at least until the 2024 Summer Olympics. The previously mentioned numbers illustrate the scale of the IT efforts well; we are talking about the largest sports related IT cooperation in the world. 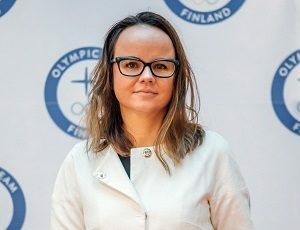 – Our cooperation has evolved tremendously”, says Marta Sanfeliu, Chief Operating Officer, Olympics and Major Events at Atos, who just visited Helsinki. – At the beginning of the 2010s, mobile was revolutionary. As we go towards 2020, we put even stronger emphasis on digital matters. Who knows what is buzzing in 2024. Technologies are constantly developing into more secure and consumer-friendly direction. Atos’ responsibilities include all possible areas covering technology, starting from the massive accreditation procedures. For the 2020 Games in Tokyo, Atos is already licensing a facial recognition system. 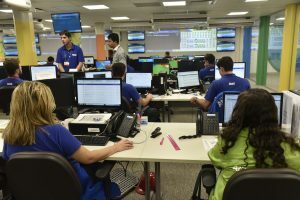 Building an IT backbone for the Olympic Games is not a simple process. When the previous Winter Olympics ended in Sochi February 23rd 2014, the preparations for PyeongChang were instantly launched. The first experts arrived in PyeongChang already in June 2014. 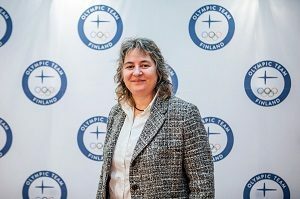 Marta Sanfeliu presented the process in the spirit of ”100 days to PyeongChang” on Wednesday at Helsinki-Vantaa airport in Finland. In 2014, we were on the planning phase and in the next year, the design took place. The year 2016 was all about building the system and during this year we have been testing the systems in order to be ready for operations in 2018. Especially the testing phase is a crucial. The Test Event arranged in PyeongChang in the beginning of this year was an important milestone, but far from the only one. The most recent full-scale testing of the system has been conducted in South Korea a couple of weeks ago. – This is not an option. We cannot fail. If you fail once, you are out. There are no other options. That is the spirit of the games within the Olympics, the top expert in the field emphasizes. The Olympic Games is the world’s largest sports event with an immense public value. That is why there are always actors who want to use publicity for the wrong purposes. A lot of attention is paid to cyber security also in the Atos community. – The security part is always in the forefront. This is a challenge especially in PyeongChang, as according to our estimations, the threat is larger there than in many other locations. Atos as a company has invested strongly in automation and robotics, and has pursued to leverage automation also in the preparations for the Olympics, especially in the testing phase of the systems. Aleksandra Tyszkiewicz, expert in Automation and Robotics at Atos, emphasizes that the development of technology is unavoidable. Whether we want it or not, the utilization of automation is increasing all the time. – What are we aiming for with robotics? The main idea behind this matter is to increase efficiency and to allocate human resources to more important tasks, says Tyszkiewicz. She also adds that robots can bring us a lot of benefits, especially when looking from the IT cyber security perspective. The idea is that the human labor input is being directed even stronger to focus on the brain work. Atos’ objective is to modify the equation so that up to 80 percent of human input would move into strategic work. The robot cannot think, but it can do the mechanical phase of executive work more efficiently. Robots are not familiar with eight-hour shifts or five-day work weeks. – We should get people to see this as an opportunity. Honestly, how many of us want to keep pushing the same button throughout our entire careers?